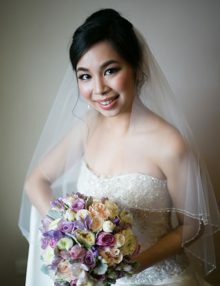 Grace Chapel is an elegant veil for a graceful bride! 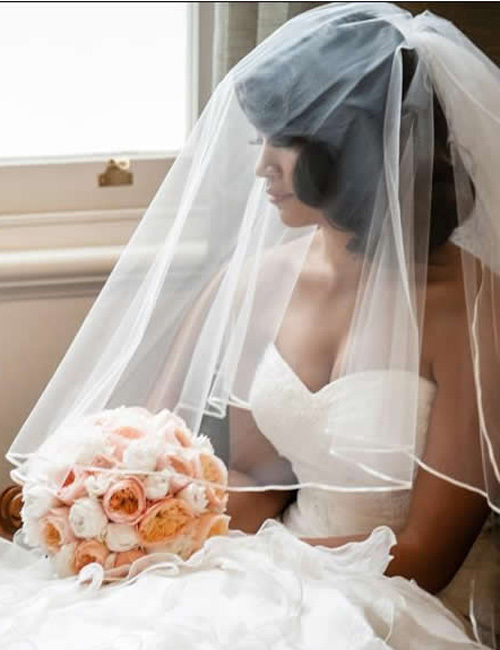 This cascading veil has three tiers with a 3mm satin edge. 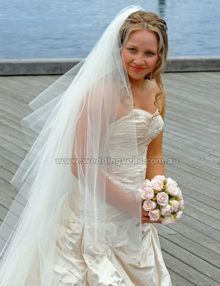 The top tiers are waist length (80cm) and fingertip length (100cm), with a chapel length (210cm) tier attached. 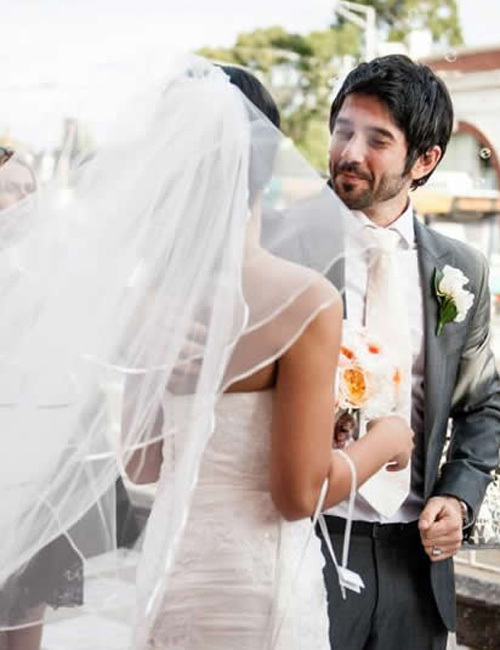 This veil is best worn towards the back of the head or under an up-do. Special feature: The chapel length tier is detachable. 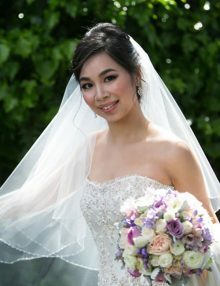 This enables you to remove the long tier, and wear only the shorter veil at the reception. Also available in longer lengths (bottom tier), which you can select from the options. 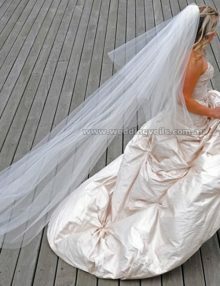 Chapel length veil is pictured. This veil is worn by Justine O in chapel length (210cm). Please note: This veil is made to order. Production time frame is around 2-3 weeks. Delivery within around 7-10 business days (within Australia). Rush fees apply.